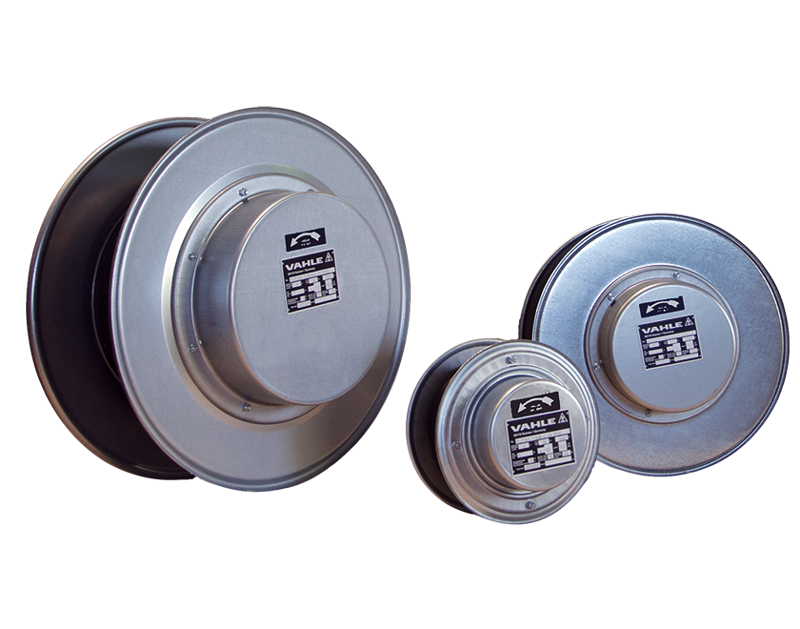 VAHLE cable reels are used to supply power and/or control to moveable equipment with automatic winding and storage of flexible cables. Available as light to medium duty spring loaded cable reels or as heavy duty motor-powered cable reels. Dependable heavy duty construction of cable reels and a wide variety of model types allow for a solution to any application. VAHLE spring operated cable reels are ideal for medium duty applications such as gantry cranes, construction cranes, electric hoists, and material handling equipment. For more demanding applications such as steel mills or container cranes, VAHLE motor powered cable reels are fully customizable to your application. Contact VAHLE today for more details.